만 2세부터 4세까지, 작지만 전심으로 예배 드리는 갈보리 유아부입니다. 찬양과 율동, 말씀 그리고 분반활동으로 하나님께 예배 드리고 있습니다. 우리 유아 한 명 한 명이 진정한 예배자가 되고 빛과 소금의 역할을 감당하는 크리스천으로 성장할 수 있기를 기도하고 있습니다. 기쁨으로 드려지는 예배를 통해 하나님을 만나는 자리에 우리 어린이를 초대합니다. 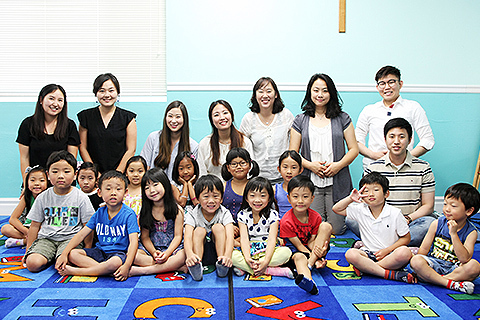 We are Calvary Preschool. We are ages 2-4 and we worship God wholeheartedly. We worship God through a time of praise and worship, a message, and small group activities. We are praying that our children will grow up to be true worshipers and live the role of being the salt and light of this world. We want to invite you to a service where your children can encounter God and worship God joyfully. 아이들이 하나님과 예수님에 대해 스스로 생각을 해 보게 되고 궁금한 점들을 물어보기 시작하는 시기. 우리 아이들이 이 가장 중요 한 시기에 가정에서도 교회에서도 하나님을 올바르게 알아갈 수 있도록 아이들의 예배를 돕고 있습니다. 하나님의 사랑으로 아이들을 바라보고, 아이들의 관점에서 함께 하나님을 바라보는 유치부로 우리 아이들을 초대합니다! Children are at a stage where they have the ability to think and ask questions about God on their own. Our role is to help our children to properly know who God is while they are in this important stage by caring for them with the love that God has shown us while walking with them in their walk with God. We invite you to join us. 우리 유년부는 초등학교 1-3학년 학생들로 기독교회 기초인 예수 그리스도를 통해 하나님의 성품과 영원한 구원에 초점을 맞추어 사역 하고 있습니다. 하나님이 어떤 분이신지, 우리를 위해 어떤 일을 하셨는지, 우리는 어떻게 하나님께 예배를 드려야 하는지를 배우고 있습니다. 우리가 하나님께 경배와 찬양을 드리도록 우리를 창조하시고 사랑하셨지만, 죄로 인하여 하나님으로부터 분리된 우리에게 하나님의 독생자 예수 그리스도를 구세주로 믿는 사람에게 영원한 생명을 (요3:16) 선물로 주신다는 사실을 매주 성경 구절과 간증과 부모님과 함께 하는 과제를 통하여 교회와 부모님과 학생들이 하나가 되어 하나님을 배워 가고 있습니다. Welcome to the primary ministry, for grades 1 through 3. For children at this level, we focus on the foundations of Christianity, including the character of God and eternal salvation through Jesus Christ. Since the emphasis is on God, kids learn to worship God for who He is and what He has done. They learn that God loves us and created us to worship Him and enjoy Him, but sin separates us from God. God gives the great gift of eternal life to anybody who receives Jesus Christ as their savior by faith (John 3:16). Kids learn a Bible verse every week, and are encouraged to share their lesson each week with their parents through a take home activity. This way, the parents and the church can partner together in ministry. 초등학교 4-6학년을 대상으로 하는 우리 초등부에 오신 여러분을 환영합니다. 초등부에서는 2가지 기본 성경 원리에 초점을 맞추어 사역하고 있습니다. 첫 번째는 예수님께서 어린아이들이 자유롭게 주님께 나아오도록 하신 것처럼 주님의 초대장을 가지고 하나님의 임재 안에서 예배드릴 수 있도록 양육하고 있으면 (마19:13-15) 두 번째로는 성경은 교훈과 책망과 바르게 함과 의로 교욱하여 하나님의 사람으로 온전케 하라는 말씀처럼 (딤후3:16-17) 아이들이 하나님의 진리에 대한 확고한 믿음을 가질 수 있도록 사역하고 있습니다. 1. 말씀 : 하나님의 말씀을 이해하기 쉽게 설명합니다. 2. 격려 : 예수 그리스도를 알아가도록 격려합니다. 3. 말씀을 새김 : 마음에 하나님의 말씀이 새겨지도록 기도합니다. 4. 진실한 약속 : 예수 그리스도를 온전히 신뢰하도록 기도합니다. Welcome to our Elementary Ministry. 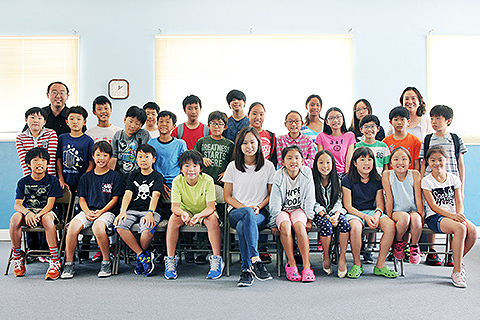 Our group consists of grades 4th through 6th students. Our main focus is grounded in two basic biblical principles. The first is from Matthew 19:13-15, which Jesus lets the little children come to him. Here in our service we want children to have an open invitation and participate freely to come to God’s presence to worship Him. The second is from 2 Timothy 3:16-17, according to this verse we want to teach, rebuke, correct, and train in righteous so that they can grow to become men and woman of God. Through these two biblical principles we want to send our children with a firm foundation with God’s truth in their hearts. 1. Keep it Simple : keep God’s word simple to understand. 2. Encourage them : we want to encourage our children to know Christ. 3. Equip with the Word of God : we want our children to have the Word of God in their hearts and in their mind. 4. Promise of Truth : we know that we have full assurance in trusting in Christ Jesus. 어와나(Awana)는 “부끄러울 것이 없는 인정된 일꾼”(Approved Workmen Are Not Ashamed) 이라는 뜻으로 디모데후서 2장 15절의 말씀을 영어 성경 (KJ Version)의 첫 글자를 따서 만든 이름입니다. 어와나는 약 70년의 역사 동안 연구되고 발전된 세계적인 청소년 선교기관으로서 세계 115개국에서 실시하고 있으며 지금은 미국 내에서만 약 3만 클럽으로 발전했고 60만 이상의 청소년들이 매주 어와나 클럽에 참석하여 하나님 말씀으로 양육 받고 있습니다. 저희 교회 어와나는 샌디에고의 유일한 한인교회의 어와나로써 1996년에 조직되어져, 현재는 취학전 3세 아동부터 6학년 학생들까지 약 60여명의 클럽 학생들이 매 금요일 저녁에 부모님들의 금요 찬양 예배 시간에 맞추어서 클럽활동을 하고 있습니다. 저희 교회 어와나는 매년 샌디에고의 모든 어와나클럽이 참여하는 어와나게임에 참여하여 좋은 성적을 거두었습니다. 어와나의 1년 과정은 매년 9월초에 시작하여서 다음해 5월말까지이며, 어와나 수업 년도 중 언제든지 등록이 가능합니다. 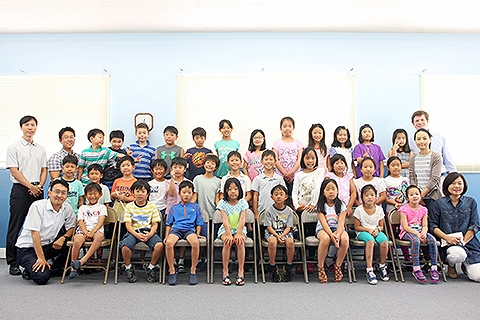 Awana is a nondenominational ministry that assists churches in reaching children with the gospel of Jesus Christ and training them to serve Him. 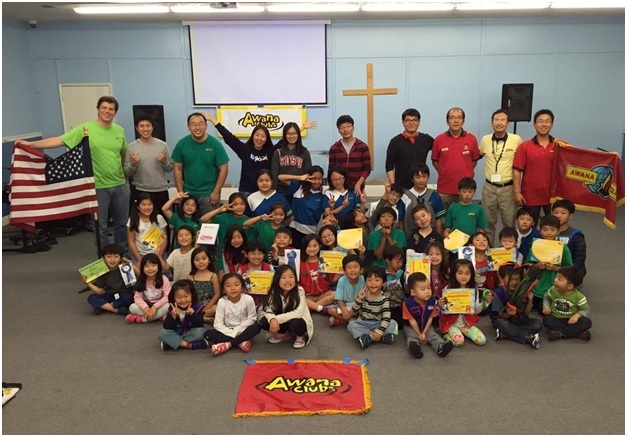 Awana Clubs International supplies programs, materials and training for more than 30,000 churches in over 100+ countries. Their message to churches is simple: We're here to serve you with a ministry that is all about fun with a purpose — to win and grow kids for Christ! Reaching our young people is very important. Did you know that 85% of all people who do not accept Jesus Christ by age 18 never will? That’s why Awana offers a series of clubs and programs geared to the needs of a particular age or grade. As a vital part of our local church ministry, Awana clubs and programs effectively reach young people with the good news of Jesus Christ. Here at church, our Awana ministry works with other ministries to give our children a well-balanced emphasis on knowing Jesus and how we can live for Him and serve Him.